$250.00 worth of professional services included with each eyeglass purchase! When you have your eyes examined here and fill your prescription with us, it includes about $250.00 worth of professional services at no cost. When you purchase your eye wear from us with another doctors prescription, you still receive the same value! Just look at the fees below to learn how much you save and more about the services we offer! Should you decide to fill your prescription elsewhere, you may still avail yourself of these services! Eye wear Repairs – Minimum Fee $30.00 / 5 minutes (If we supply any parts they are all based on our fees as determined by our office. Parts may not be available as there are thousands of frames and many suppliers. We recommend you get your parts from your eye wear supplier). *There is NO Liability for any breakage of glasses (frames or lenses) not purchased here or not made entirely by our offices. Your provider will provide all warranties and replacement parts as to their policy. 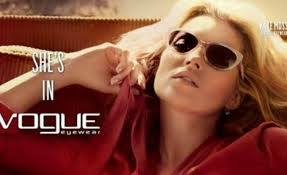 This includes eye wear that breaks or suffers damage of any sort in its adjustment, repair or handling by our staff. No Exceptions! We offer no compensation for non-adpats to eyewear we do not completely manufacture and supply. *Measurements needed to properly design, fit and make glasses are professional services. All professional services are to be paid at the time of delivery.